In 1917, the Jones Act extended U.S. citizenship to Puerto Ricans. Many law- and policy-makers in the U.S and Puerto Rico erroneously believe—or deceivingly propose—that U.S. citizenship for island-born Puerto Ricans residing in Puerto Rico is contingent upon the resolution of the territorial status of Puerto Rico. A century after the enactment of the Jones Act, recent events have brought the permanency of Puerto Rican U.S. citizenship to the forefront of political considerations. Last summer, in a span of a few days, Congress enacted one law and the Supreme Court decided two cases that affirmed the Puerto Rico’s century-old unincorporated territorial status. U.S. policy-makers favored granting citizenship to Puerto Ricans not for military recruitment or narrow strategic interests generated by World War I, as is often believed, but rather for supporting U.S. permanence in Puerto Rico, solidification of the governance of the territory, and augmenting a “bond" with Puerto Rico. At the time, granting citizenship to Puerto Ricans was not seen [emphasis added] as a step toward the incorporation of Puerto Rico as a territory or as a step toward statehood. After a century of Puerto Rican U.S. citizenship, it is clear that the main goal of the Jones Act of augmenting a “bond" with Puerto Rico (and Puerto Ricans, we may add) by granting citizenship has been achieved. Yet, as the ongoing debates about the status of Puerto Rico testify, the question of whether U.S. Puerto Rican citizenship is permanent and irreversible for island residents has been called into question. 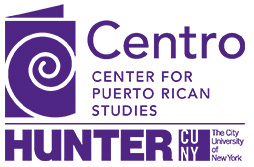 Have you ordered your copy of CENTRO Journal?